You touch a baby’s skin and probably say, ‘Aren’t baby’s the softest?’ And the answer is yes. 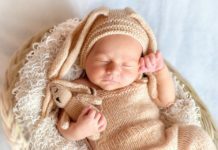 Babies are born with the softest and delicate skin, but their plump and pinkish skin require a lot of care than just applying a moisturizer to hydrate their skin. Baby lotions, sunscreens, Diaper creams, just ask and you’ll have the type of moisturizer you want. Baby products are made with great consideration and are a great gift for your best friend’s baby shower party. 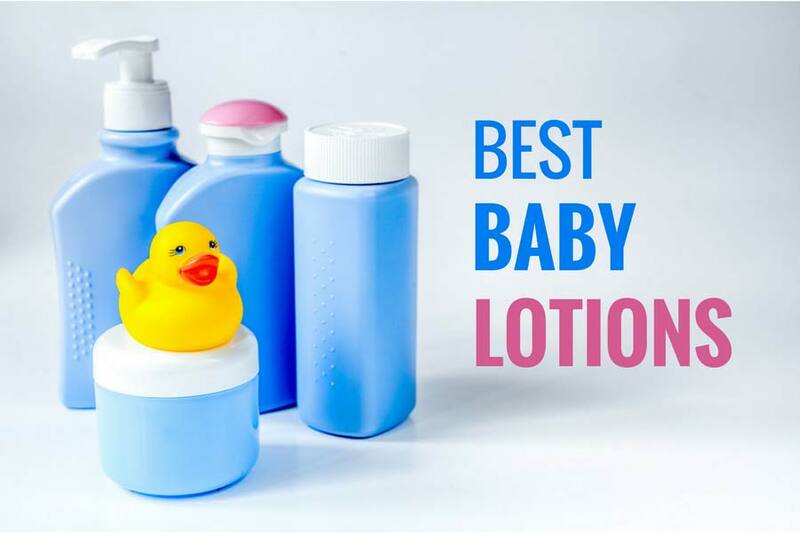 Let’s gain an insight into some of the best baby lotions for your little one in greater detail. For years, Johnson has protected your baby’s delicate skin with its carefully made lotions. 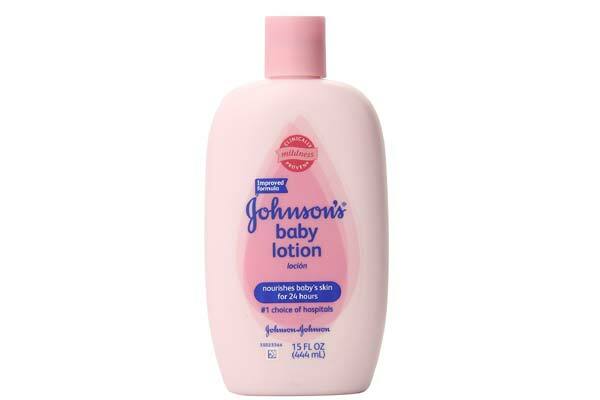 Johnson’s Baby Lotion is apt for 24-hour moisturizing with its mild hypoallergenic formula. The 15-ounce bottle is a real value for money and is easily available throughout the market. 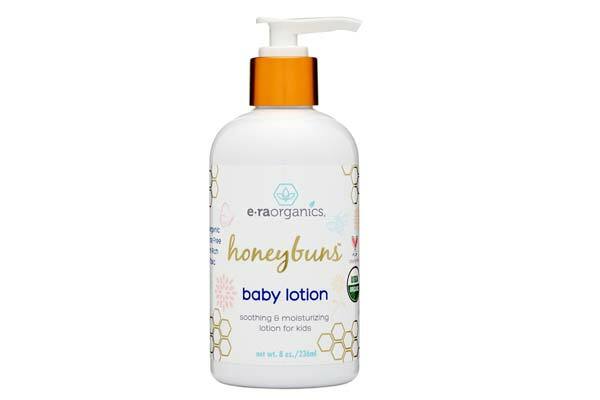 Burt’s Bees has come up with yet another paraben-free formula for the plump skin of your baby with Shea butter, buttermilk, and sunflower seed oil that make it rank high in the best baby lotions list. The pediatrician-tested cream claims of being 98.9% natural and free of phthalates and petrolatum. It’s a must try for maintaining the happy look on your baby’s face! 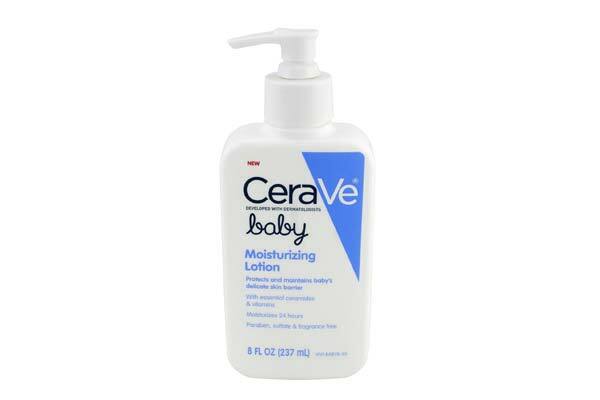 Like all other CeraVe products, CeraVe Baby Lotion contains ceramides that act as natural protective barriers. It has been approved by the National Eczema Association and can be used on eczema prone skin. The product is ideally meant for normal to dry, dry to extra dry skin. 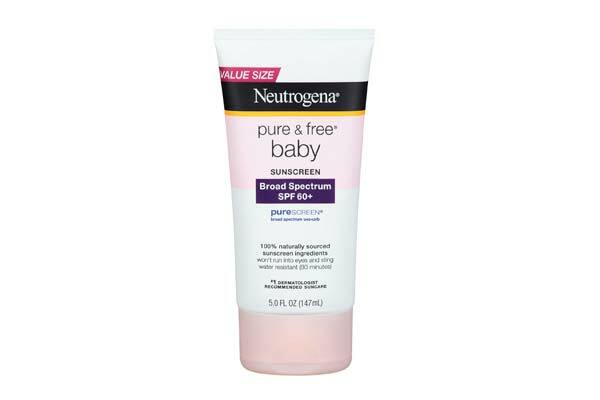 Its fragrance, paraben, and phthalates free formula makes it useful for itchy and chapped skin. Earth Mama Angel Baby Lotion with Calendula and Rooibos took care of your baby’s skin like never before with its toxins free formula and lost lasting hydration suited even for a newborn. It is a vegan product, gluten free product that refrains from paraben, mineral oil and petroleum as well. It claims to be synthetic fragrance-free. 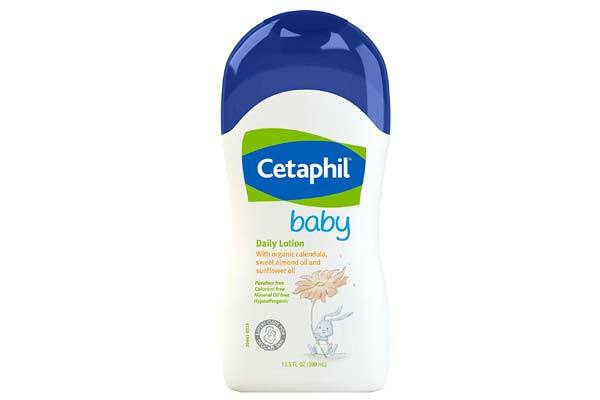 With Calendula extract, Cetaphil Baby Daily Lotion is perfect for your baby’s sensitive skin. Because of Calendula extract, it can be used on the irritated skin of the baby for a soothing effect. It’s a paraben free and mineral oil free formula sweet almond oil and sunflower oil. The colorant free formula leaves you stress-free about artificial products. 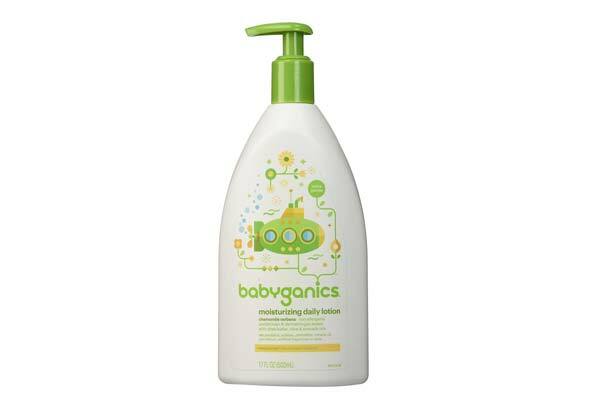 Tested by dermatologists and pediatricians, Babyganics Extra Gentle Moisturizing Daily Lotion, made from Shea butter, avocado oil, and olive oil. Made of Nourish natural seed oil blend that meets your baby’s skin development needs and provides antioxidants for maintaining glowing skin. It claims to be paraben, phthalates, petrolatum and mineral oil free. Confused after seeing such amazing products at such unbelievable prices? Well, worry not! Just go for the product that suits your baby’s skin type, and you are ready to go. Use different products as per the use and make sure to use sunscreens before going out. Just remember to consult your pediatrician before trying any new product. In the case of irritation or reactivity to any product rush to your baby’s pediatrician before it causes much distress to the little one. It is not necessary that what suits your friend’s baby suits your baby too. Remember the golden rule- Quality over Quantity!